Growing and distributing food has its challenges: disease, pests, weather, economics, policy, public opinion, growing populations, and more. These articles focus on how the Kentucky agriculture community is addressing those issues to ensure we have access to healthy food, clean water, and a better quality of life. Managed bees and native pollinators are necessary to agriculture, and Kentucky is working to protect them with the Pollinator Protection Plan. Fungal diseases are one of the leading causes of crop loss around the world. And not only do these diseases cause loss in yield (amount of crop produced), many fungal diseases produce toxins that cause severe sickness or death to humans and livestock. Reading, writing and... rice. The young girl in the blue cotton dress, her feet clad in dusty sandals, has come to school for all three. At the Kentucky Academy in Ghana, students have learned an important equation: education=food. As a self-proclaimed foodie and a lifelong gardener, it was no surprise that University of Kentucky student Anna Townsend answered the call to share her knowledge when the Campus Kitchen at the University of Kentucky formed in 2014. A University of Kentucky entomologystudent has developed a list of bee-friendly trees and shrubs for the Ohio Valley region. The list can help homeowners, who have a desire to participate in bee conservation efforts, find the right plants for their yards. When considering what natural resources we need the most to survive, water ranks at or near the top. According to NASA Science, "So far, scientists know of no living things, even the smallest microorganisms that can live without liquid water." According to the latest U.S. Census of Agriculture, in 2012, the United States had 2.1 million farms – down 4.3 percent from the last agricultural Census in 2007, continuing a long-term trend of fewer farms. Agriculture Commissioner Ryan Quarles gave an update of the Kentucky Department of Agriculture’s (KDA’s) Hunger Initiative and urged all Kentuckians to help fight hunger in a rally to raise awareness of Kentucky’s hunger problem today in the Capitol Rotunda. “The Kentucky Hunger Initiative got off to a great start in 2016, and we are continuing our efforts to develop a strategy to reduce hunger in Kentucky,” Commissioner Quarles said at the annual Rally to Solve Hunger. Farmers are the first environmentalists. We farm in part because we love working the land and knowing our work means something – we are feeding our friends and neighbors. But, we understand that we have a special responsibility to maintain clean air, clean water, and fertile soils to sustain life. A new set of tools is now available for beekeepers to better manage their hives year round; and right now is the time to take action to have a high degree of success is knocking back the varroa mite; the number one threat to honey bees. State apiarist, Tammy Horn Potter, discusses a new series of short videos available free of charge to beekeepers. Wild pigs; they’re not a widespread problem in Kentucky yet, but Ky Fish and Wildlife officials are taking actions to stop their spread. In even small groups or “sounders,” wild or feral hogs can create environmental and crop damage and can out compete deer and turkey for available, natural food sources. Fish and Wildlife’s John Hast describes the situation. Amid concern over antibiotic resistance and in an effort to improve efficiency while protecting human and animal health, the Food and Drug Administration is making changes in its Veterinary Feed Directive program. They are amending regulations regarding drugs added to livestock feeds; the new rules go into effect Jan. 1. Kentucky college students and anti-hunger advocates recently gathered at the University of Kentucky to discuss ways to end hunger across the state as part of the Inaugural Kentucky Hunger Dialogue. It’s an epic journey by a creature so fragile that it is almost beyond the imagination. Thousands of times a monarch butterfly’s wings stroke the air, buffeted by winds and soaked by rains on its 3,000-mile autumn trip from southern Canada to central Mexico. Faced by numerous threats, their populations are in decline. University of Kentucky graduate student Jerrod Penn spearheaded a project to collect data and also help the butterfly. Whether it’s nuisance weeds like thistle and teasel, or insects like mosquitoes and black flies, these “pests” can cause as much stress as they can damage.  While Integrated Pest Management (IPM) practices are a key component to the solution, the Kentucky Department of Agriculture (KDA) recognizes that pesticides also hold risks and must be regulated to protect human health and the environment. As the average age of farmers in Kentucky continues to rise and longtime producers near retirement, the industry depends on new farmers like Ryan and Misty Bivens, owners and operators of Fresh Start Farms, to carry on Kentucky’s rich agricultural tradition. Did you know one in six Kentuckians, including one in five children, is food insecure? That means they lack reliable access to a sufficient quantity of affordable, nutritious food. And for too many Kentucky residents, hunger is a harsh reality. In the Monroe County community of Vernon, sweet sorghum production is the economic driver for the area’s Amish population. When a new pest threatened to destroy the 2016 crop, the University of Kentucky Cooperative Extension Service stepped in to help the farmers save the crop and their livelihood. Agriculture Commissioner Ryan Quarles joined other state officials and science experts on Monday to announce a partnership of the Kentucky Department of Agriculture and the Kentucky Department for Public Health to prevent the spread of Zika virus in Kentucky. Making sure animals are healthy and cared for is a primary concern of our Kentucky farmers. While most of the animals raised in agriculture will be used for food, farmers realize that unhealthy animals do not provide quality meats, eggs, milk, and co-products.